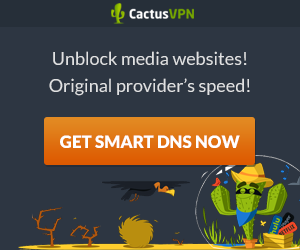 As we mentioned earlier, VPN is the widely used and proven way to accessing geo-blocked content and censorship with maintaining proper encrypted privacy, but with an array of global sites hiding behind the locked doors of geo-blocking, using a Smart DNS Proxy Service is also an innovative way to accessing that restricted content and essentially being able to unblock websites. Accessing blocked site using a smartDNS Proxy seems to be a common thing today among people with a small amount of technology knowledge. I have mentioned below some SmartDNS providers that you can choose for serving your purpose. Note: All visitors of this website who would like to purchase any SmartDNS Proxy service from any one of the above list Best Smart DNS Proxy should follow the codes of humanity & rights and completely avoid all forms of criminal or offensive activities which might harm any human being or destroy human rights of any kind. For example: none should use these SmartDNSs or VPNs for implementing any kind of terrorist activity, hacking others properties or copyright things, theft, robbery etc. If anyone is directly or indirectly involved in such activities by using the secure VPN services or SmartDNS proxy from the above list Best Smart DNS proxy and VPN service, s/he will be liable for her/his offense/crime.